Welcome to another edition of Mail Call Monday!! Lots of fun scrappy goodness has descended upon my mail box. These are particularly special because they came all the way from New Zealand!! 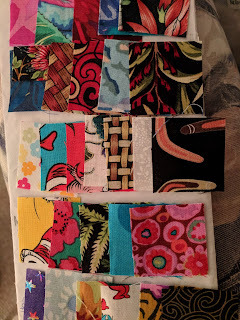 I even got a little Kiwi fabric lesson when the arrived. LOL!! Bonus... Can YOU spot the one Australian fabric? It's QUITE surprising just how much can be fit into a Priority Mailer!! In case you can't make out the writing... that label indicated that there are 156 - 15" x 2" strips. That's in addition to 156 - 5" squares and 30 - 2" x 1.5" rectangles. ALL very usable!! "... 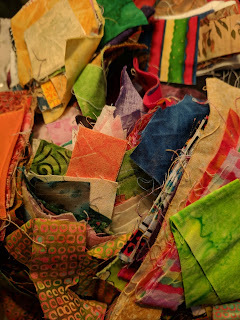 I've started with the smaller pieces, pressing and stacking. 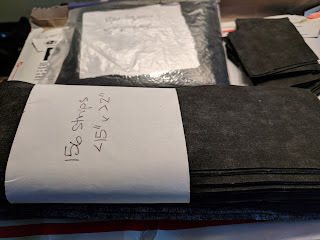 The plan is to cut them into 2", 2.5", 3", and 3.5" squares, and 2.5" x 4.5" bricks. What's left will be cut into strips, and pieces less than 2" are going into the trash. (Don't tell anyone.)..." Seriously - If you want them, I'll start saving them for you. 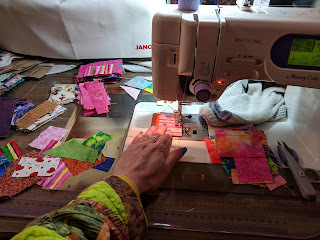 You will be happy to know that I've already rummaged through the gallon sized Ziploc bag and sewn some of these together!! See??? I won't mention that I have won a giveaway. Oops! I suppose I just did. LOL The blogger hasn't announced the winner yet, so I will check back with you once my prize has made its way to my door. 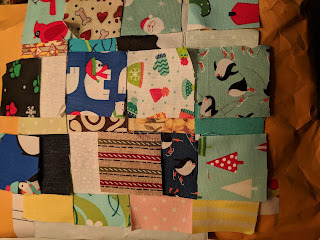 Love all of the scraps you got but those BRIGHTS from Sandy...drooling!!! 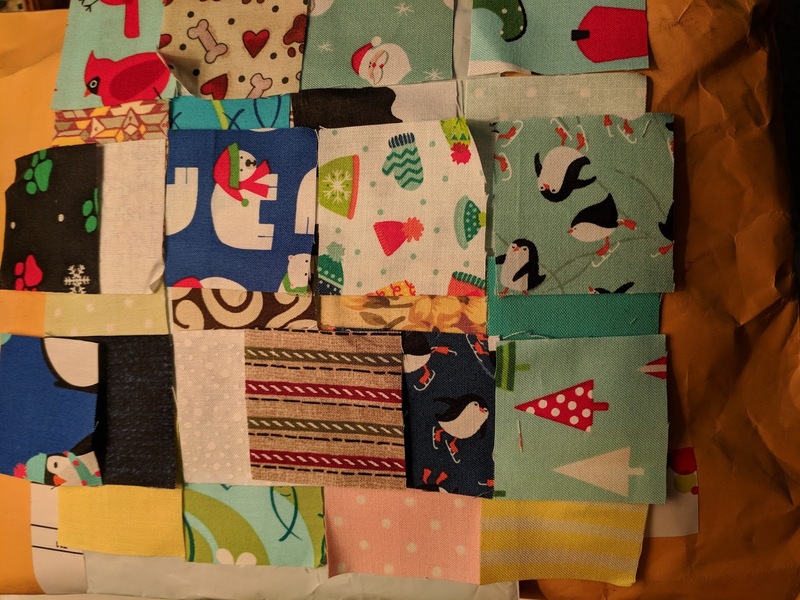 So fun to get scrappy goodness in the mail! Love the boomerang! Lots of fun and scrappy stuff going on in your sewing room. Enjoy!